I’ve noticed a lot of recent activity on my QuickBooks posts. Rather than write a new post that may or may not meet your needs, how about if you feel free to ask me your five most pressing QuickBooks questions? I’ll create posts that answer those questions. While I’m at it, I’ll create a FAQ. Why ask me? 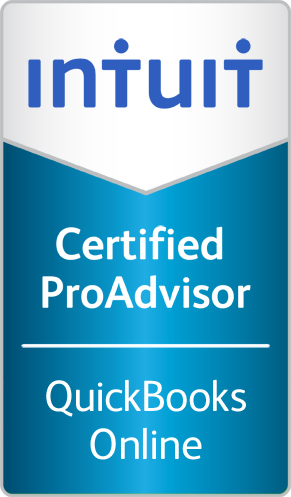 I’m QuickBooks Pro Certified. I also teach a QuickBooks online class at the local woman’s business center, have an MBA in Finance, and have taught business courses at the local community college. I’m a writer who has used QuickBooks for my own writing business for years. Because sometimes you just need one piece of information so the rest can fall into place. Also, as a writer, I know what it’s like to be a one-woman-band. Writer-to-writer, I’m happy to share what I know. It’s my version of paying it forward. Online or Desktop. PC or Mac. Enter your questions in the comments box OR use Contact Me to send them to me. Let’s see what we come up with! Categories: Accounting, Apps/Software, Blog, Money In/Out | Tags: QuickBooks, QuickBooks for Writers, QuickBooks online, QuickBooks Pro, QuickBooks Pro Certified | Permalink. Quickbooks seems like major overkill for an author but keeping it in Excel turns into a nightmare at tax time. It seems that very few items are really needed. Expenses with proper tax categorization (Meals & Entertainment, mileage, signing fees, supplies, etc) and royalities. There may be some contract labor in there for book design, website design, and assistants. I understand that writers of columns and so forth have actual businesses that they work with and need invoices but this is not something that authors deal with. Any help would be appreciated. I’d be happy to help. Meanwhile, I’ve been using Assignmint this year and loving it. It may be just what you need. Give it a look. I am a children’s book writer and illustrator. I was considering getting Quickbooks because I wanted to track my personal book inventory and keep my accounting all in one place. Does this program do that without confusing the user? Are there any features that make quarterly filing easier? By the way, I enjoy your website and plan to read some more of your articles. Yes, QuickBooks has the ability to track your book inventory and keep track of your accounting, all in one place. It will automatically account for the profit when you sell a book, too, if you a cost for your books and a selling price that differs. You can also track your expenses and income by project or type of client. The version of QuickBooks you select will determine whether or not you have all of these features. If you’re getting the online version, there’s a bingo chart that lists the features. If you’re buying desktop software, you will also find a bingo chart on the Intuit site. Make sure you go for a version that says it can track inventory. PS I’m glad you like the blog!